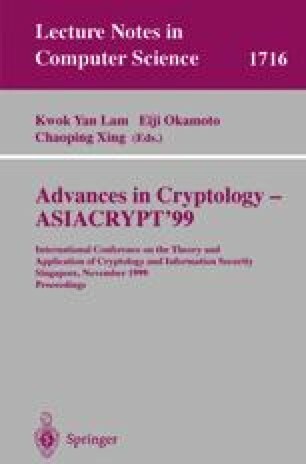 Traditional point-to-point message authentication systems have been extensively studied in the literature. In this paper we consider authentication for group communication. The basic primitive is a multireceiver authentication system with dynamic sender (DMRA-code). In a DMRA-code any member of a group can broadcast an authenticated message such that all other group members can individually verify its authenticity. In this paper first we give a new and flexible ‘synthesis’ construction for DMRA-codes by combining an authentication code (A-code) and a key distribution pattern. Next we extend DMRA-codes to tDMRA-codes in which t senders are allowed. We give two constructions for tDMRA-codes, one algebraic and one by ‘synthesis’ of an A-code and a perfect hash family. To demonstrate the usefulness of DMRA systems, we modify a secure dynamic conference key distribution system to construct a key-efficient secure dynamic conference system that provides secrecy and authenticity for communication among conferencees. The system is key-efficient because the key requirement is essentially the same as the original conference key distribution system and so authentication is effectively obtained without any extra cost. We show universality of ‘synthesis’ constructions for unconditional and computational security model that suggests direct application of our results to real-life multi-casting scenarios in computer networks. We discuss possible extensions to this work.